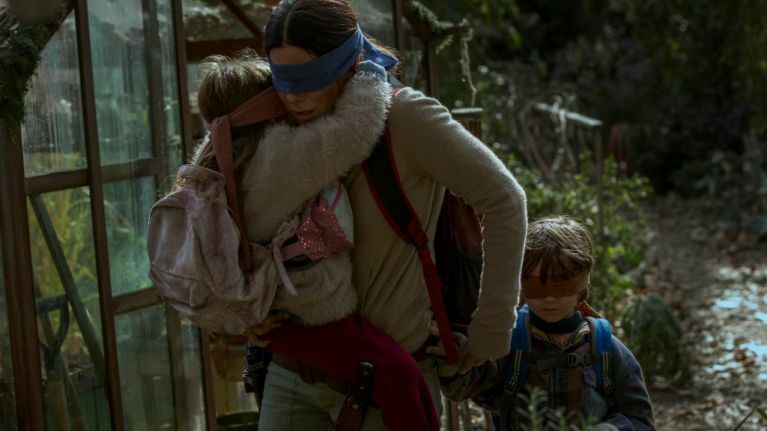 "Can't believe I have to say this, but..."
Netflix have asked people to stop taking part in the Bird Box challenge, inspired by the horror film of the same name. The thriller stars Sandra Bullock as a mum trying to get her children - Boy and Girl - to safety after a supernatural apocalypse happens. However, the three of them have to be blindfolded to prevent the slide into insanity that happens if they see the villains in the film. 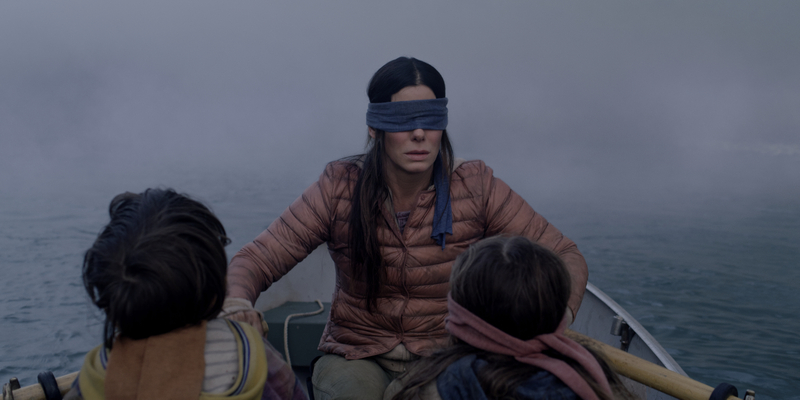 The popular movie inspired people to take on the #BirdBoxChallenge, which, basically, sees them trying to do normal, everyday tasks while blindfolded. While many of the videos end in seemingly harmless embarrassment, there have been a few which appeared to result in injury - with people running into walls or close to traffic. As a result of this, Netflix have now urged people to stop trying to do the challenge. "Can't believe I have to say this, but: PLEASE DO NOT HURT YOURSELVES WITH THIS BIRD BOX CHALLENGE.